New York, NY, USA (December 5, 2018) – The International Society for the Performing Arts (ISPA) is delighted to announce the ten selected Pitch New Works projects that will be presented at the New York 2019 ISPA Congress, Transitions: Today’s Future for the Arts. The Pitch New Works projects were selected from a record 99 applications by ISPA’s Pitch New Works Committee. The committee is chaired by Piotr Turkiewicz, Head of International Development and Programming at the National Forum of Music in Poland; and includes David Baile, CEO, ISPA; Clothilde Cardinal, Director of Programming, Places Des Arts; Alison Friedman, Artistic Director Performing Arts, West Kowloon Cultural District; Jonathan Holloway, Artistic Director, Melbourne International Arts Festival; and Igor Lozada, Director, Universidad de Guadalajara. 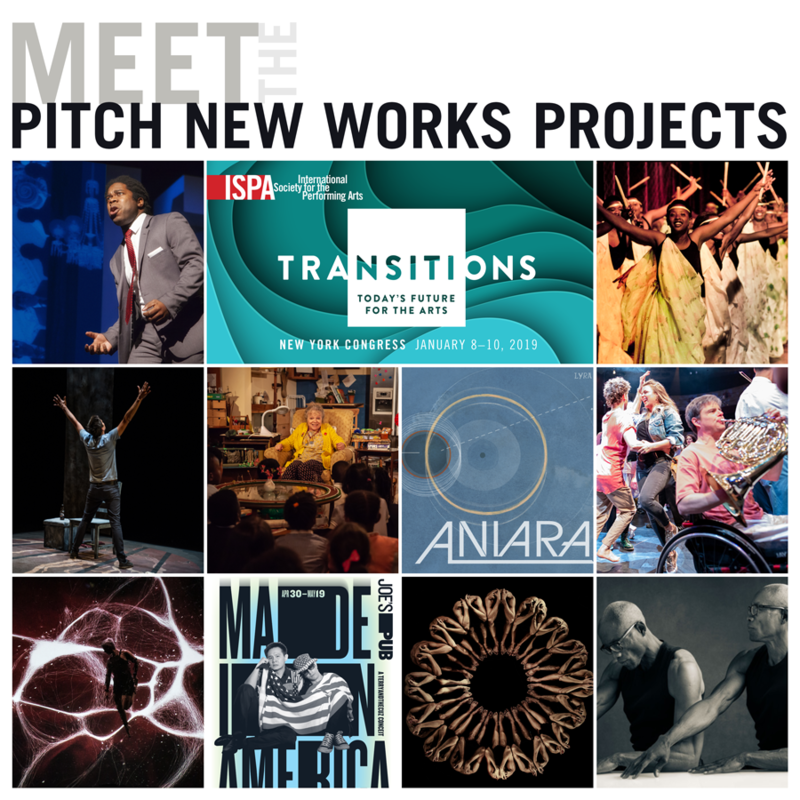 Delegates of the upcoming New York 2019 ISPA Congress can catch these 10 remarkable projects at the Pitch New Works session, Wednesday, January 9, 2019 at the Times Center. Immediately following the session, delegates will have an opportunity to meet the presenters at ISPA’s ProEx (Professional Exchange). About Pitch New Works: ISPA's Pitch New Works Program provides a forum for creators and arts professionals to share and discover new performing arts projects. Twice a year, ten submissions are selected to be presented to hundreds of performing arts professionals at ISPA's Congresses. View roster of past Pitch New Works projects. Read Pitch New Works success stories.